I want so bad to make my own masterpieces out of garage sale finds. I live on a tight budget, so my only hope of having a fabulously decorated house hinges on my ability to get on my DIY game. In an effort to become one of those DIY Divas, I attempt the odd #DIY project from time to time... With most times ending in one of those Pinterest 'Nailed it' fails. One day I WILL make a bowl full of these damn balls!!!! 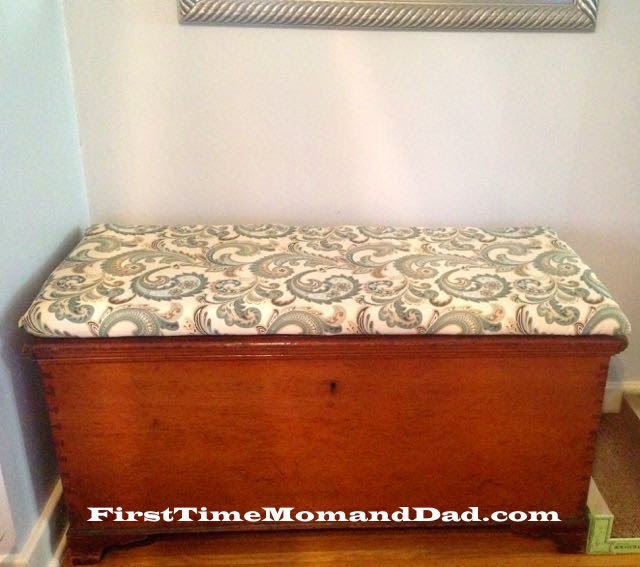 My latest endeavor, making a bench seat for an old trunk, is by far my bravest #DIY attempt to date. You see, I had a vision and I was determined to bring it to life. Only, I had no clue how to do it! So, like any #DIY dummy, I turned to Pinterest and YouTube for tips and tricks to bring my vision to life. For the record, watching those DIY videos on YouTube is not only intimidating, it's a constant reminder of how ill equipped I am for DIY projects. Not only do I lack the crap needed (sewing machines, industrial glue guns and enough fabric to cover an entire house twice), I lack the skills. HOWEVER, I don't lack the vision! Which, I am happy to report, is more important than all of that sewing machine and glue gun crap! I went to the local craft store and picked out fabric, foam, quilt batting, pillow stuffing stuff, and a small glue gun. I WAS DETERMINED! 1. Measure the top of the trunk and cut foam to fit. 4. 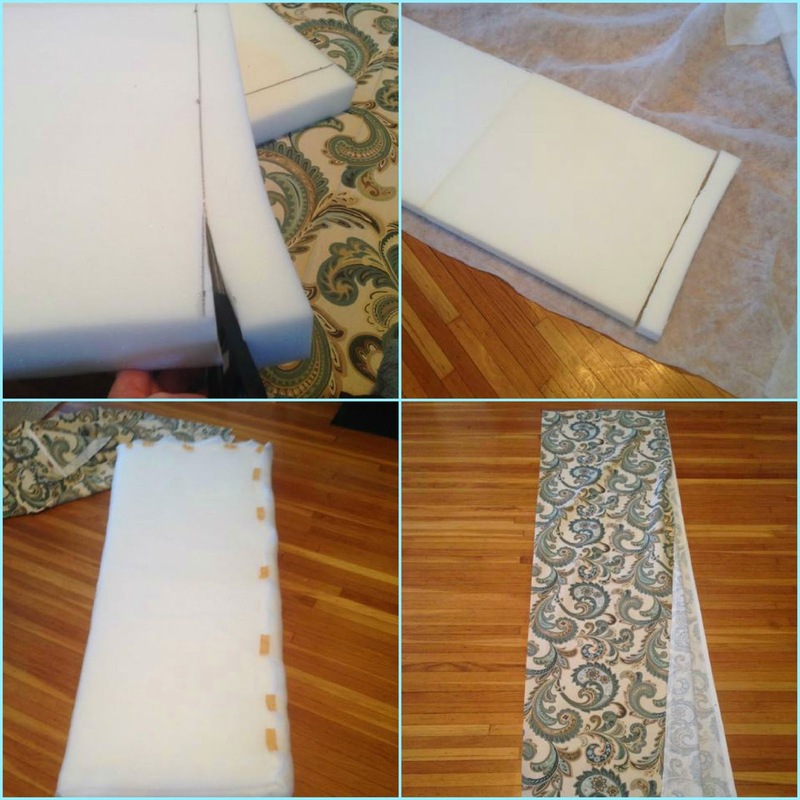 Fold fabric, print side facing in, then glue three sides of fabric to form seams. 5. Once the glue has dried turn the fabric right side out pushing the corners out. 6. Stuff the foam seat in the fabric and seal the last side with glue gun. If only...It took 52 Epic fails and quite a bit of improvising to make it through steps 1-7. 1. Measure and cut foam... yeah, I need to go back to Kindergarten and learn to cut a straight line. 2. Hot gluing foam together is a joke! I ended up busting out the Gorilla Glue. 3. The damn batting wouldn't stick down! Again, the hot glue sucked. So I got bandage tape to hold it in place since it's soft and won't crinkle when someone sits on it. 4. I'm pretty sure the part about glue three sides of the fabric closed, didn't mean when the hot glue failed to work, grab the Gorilla glue and glue your fingers together. But I did it anyway, and it worked like a charm! Thankfully, staying focused on my vision and not giving up helped me stay on track. After quite a bit of Gorilla Glue and cussing, I managed to stuff my batting covered foam block seating contraption into the fabric case. At this point, I was doing internal cartwheels! I grabbed the end, folded the fabric in on itself, smothered it in Gorilla Glue and sealed it (and my fingers) shut! HOLY CRAAAAAAAAP! I DID IT!!!! No, it's not perfect, but it's really great and totally my vision!!! 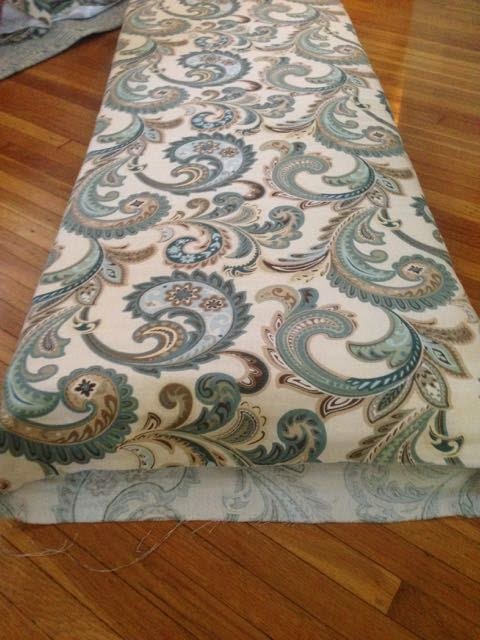 Since I was feeling all accomplished, I used the left over fabric to make a pillow to tie the room together!!! 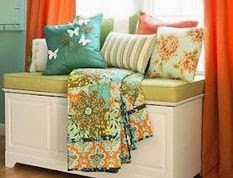 I'm going to make another pillow for the couch, and a solid color pillow or two for the trunk seating! 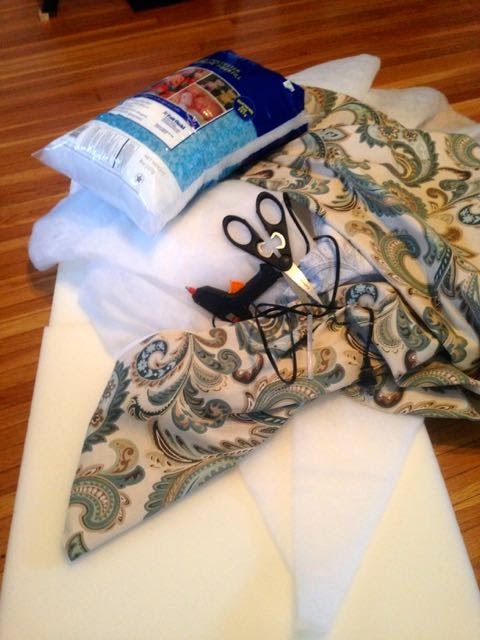 Even though, no DIY person in their right mind would tell you to make a no-sew seating cushion with bandage tape and Gorilla glue, I'm here to tell you, IT WORKED! If you have a vision, follow it and if you have to use unconventional methods, then have at it! Just what ever you do, don't let go of your vision! *If you need more encouragement (or a laugh! 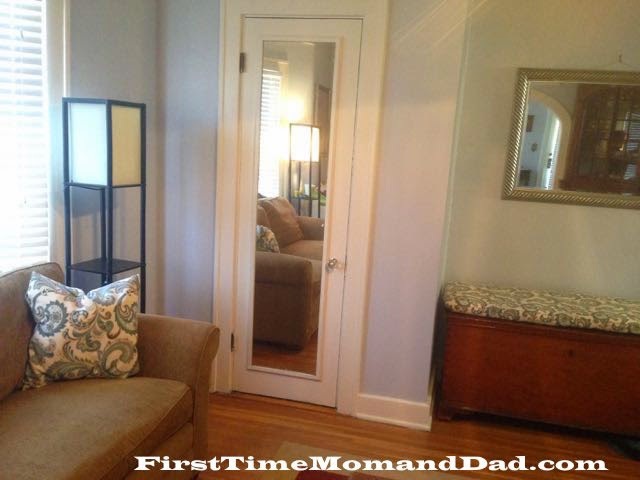 ), checkout this post full of Pinterest 'Nailed it' fails.